I was pretty stoked to get to play around with the Tulip Tie Dye Kit to create something new. 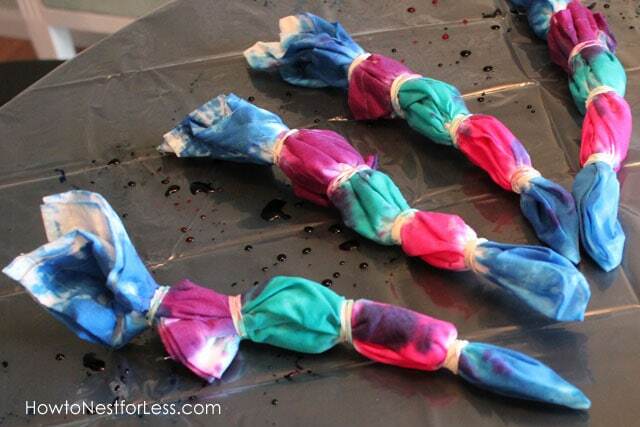 I think the last time I tie dyed was back in Girl Scouts… yeah, I’m serious! But this time I wasn’t going to create a t-shirt like back in the 6th grade. This time I decided to design some home décor! 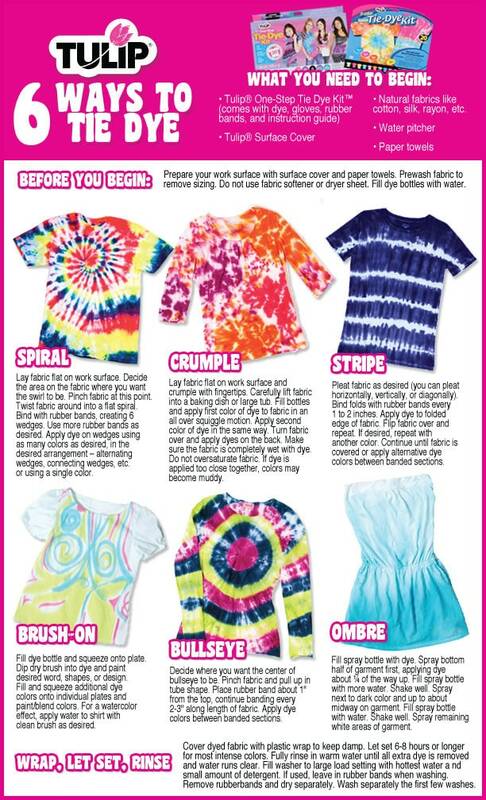 My idea was to have a fun and funky summer dinner with a Tie Dye theme! 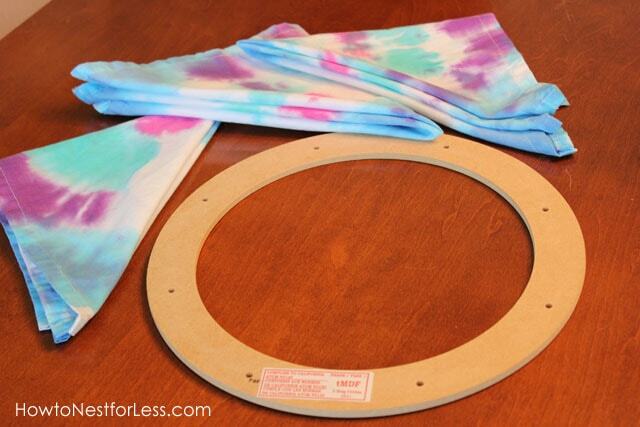 Just a couple of pops of color using Tie Dye cloth napkins and a fabulous Wreath to greet people at the door! 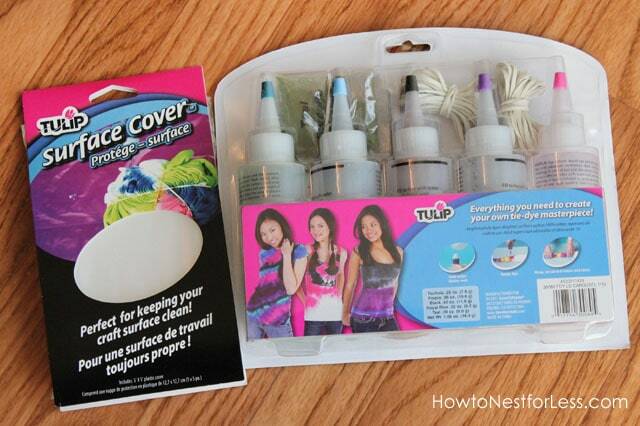 First thing is to lay down your Tulip Surface Cover so you don’t get any dye anywhere. This huge piece of thick plastic was awesome! Highly recommend. 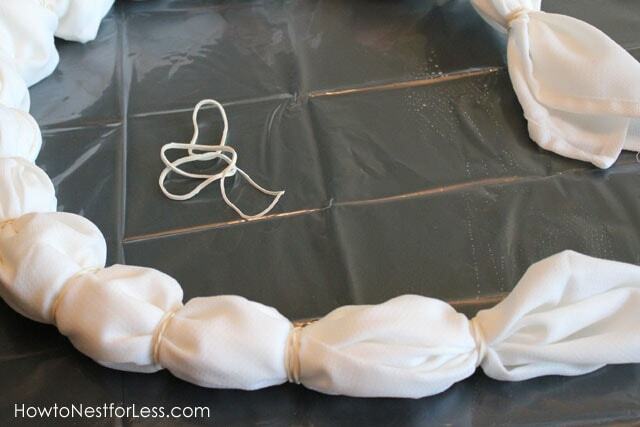 Next I dampened my cloth napkins and started sectioning off with rubberbands (provided with the Tulip Tie Dye Kit). Next I added water to the tie dye applicators. The powder to form colors comes in the bottles when you purchase the kit, along with some extra dye powder. You just need to fill the bottles to the fill line, shake like crazy, and you’re ready to rock! 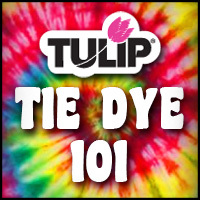 Start applying the Tulip Tie Dye to the damp fabric. Tip: wear plastic gloves. I learned this valuable lesson about 5 minutes into this project! 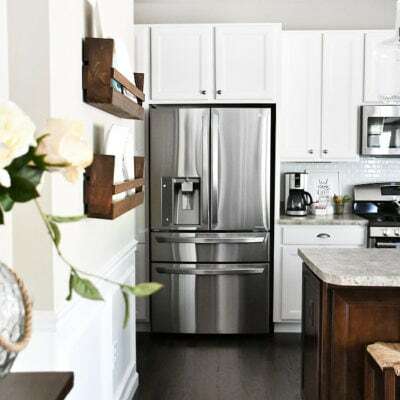 Now you’ll want to saturate the fabric with the dye, but don’t overdo things. You don’t want the dye to run and become one huge muddy mess. 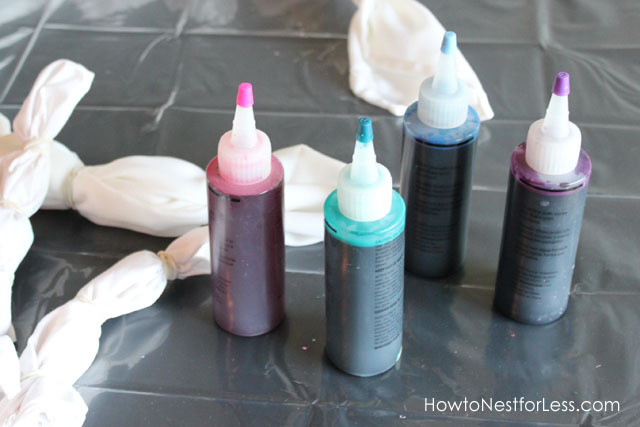 Once you have all of the dye on your fabric, cover everything with plastic wrap so it stays damp. You’ll want to let this sit for 6-8 hours. 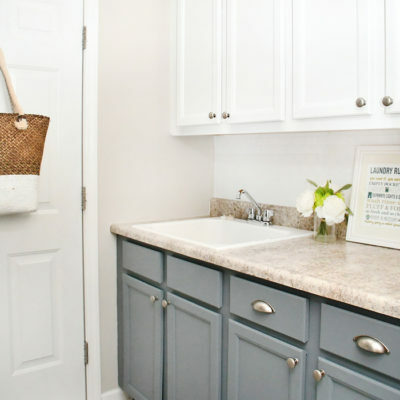 When you’re done, rinse out in the tub or laundry sink until the water runs clear. Then you can go ahead and wash as instructed on the package! And here’s my finished cloth napkins! So I bought a bunch of cloth napkins and decided to make use of my extras by making a fun and funky summer wreath for my front door! I loosely hot glued the fabric around the wreath form. I kinda just glued as I went. I then adhered some cheapy plastic sunglasses and some flowers for fun. 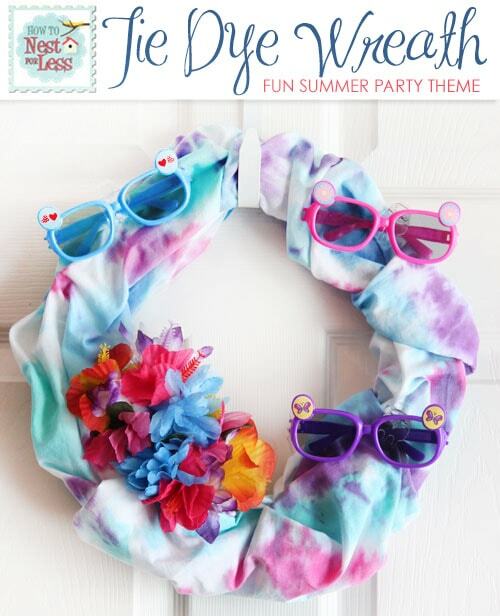 Quick and easy summer party theme on a budget! And isn’t it crazy how you can completely change a tablescape with something as simple as napkins? That’s why I ADORE my white plates. 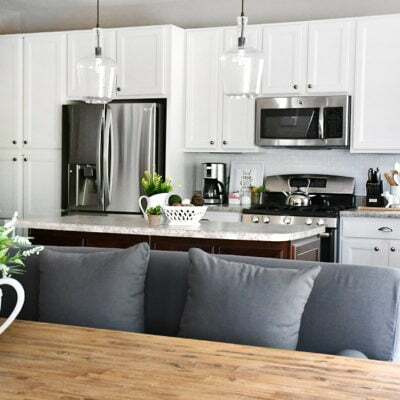 Add some new textiles and it’s a completely different table setting. Gotta love that! 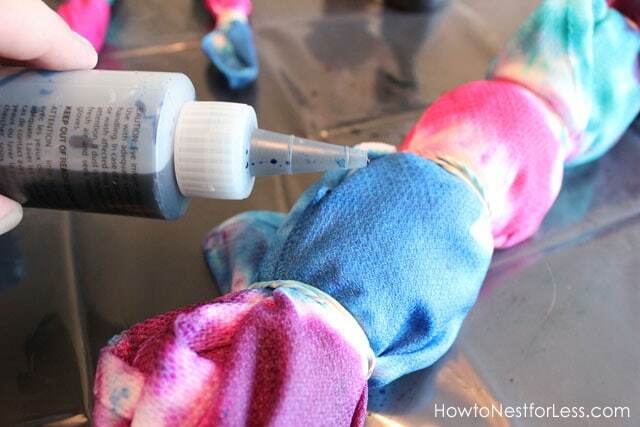 Need some more tips and tricks for how to Tie Dye? 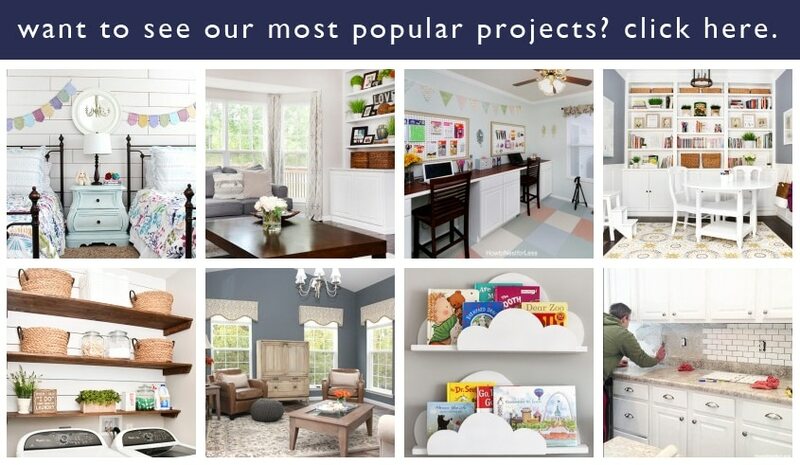 Check out www.ILoveToCreate.com for more information! And here’s a little cheat sheet that you can download for help. 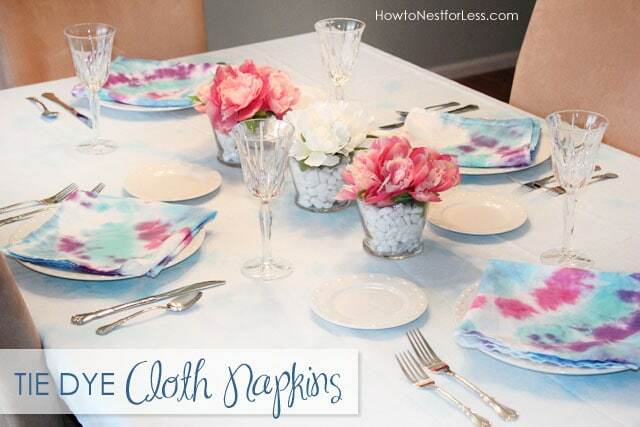 Those napkins are great- such an unexpected place for tie dye to appear! Beautiful napkins. Really eye calming.